The Mora Smoothie fashion blog, DIY fashion by Paola Buonacara: Day #3 Copenhagen Fashion Week! Today I'm gonna tell u about my third and last day of CPHFW!. The morning began with a visit to the event organized by Dansk magazine, in which I had the pleasure to talk to and get to know some Danish brands which I will talk soon. 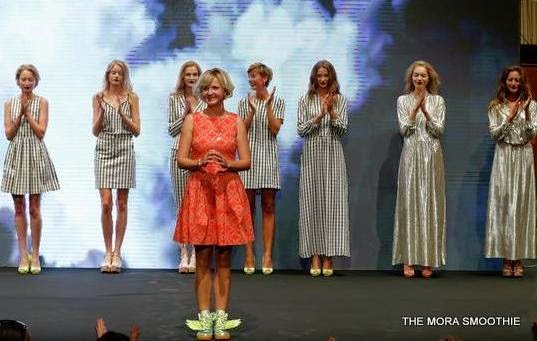 And then the fashion show The Illumination SS15 by Edith & Ella, Danish brand founded in 2004 always growing. Dresses that I liked very much, with thier clean lines and bold cuts accompanied by playful prints and bright for a modern woman who knows how to be daring with color. The bomber jacket and shorts in orange, I adored, and u what do you like most? Oggi vi parlo del terzo ed ultimo giorno della CPHFW! La mattinata è iniziata con la visita all'evento organizzato dal Dansk magazine, in cui ho avuto il piacere di parlare e conoscere da vicino alcuni marchi danesi di cui vi parlerò prossimamente. E poi la sfilata The Illumination SS15 di Edith & Ella, marchio danese fondato nel 2004 e sempre in continua crescita. Abiti che mi sono molto piaciuti per le linee pulite ed i tagli decisi accompagnati da stampe giocose e vivaci, per una donna moderna che sa osare con il colore. Il bomber e gli short in arancione gli ho adorati, a voi cosa piace di più? Che sfilata! Paola davvero le foto sono mille volte piu' belle! Volgio quell'abito! The dress is absolutely fabulous! Love it! Ciao Paola, favoloso il tuo outfit, perfetto per la FW! mi piace un sacco la tua collana DIY! ti sta benissimo questo vestito! bellissima la collezione, molto interessante le foto! Love the orange dress you have selected! Also love your dress, so vibrant! Che bello il tuo abitino, mi piace tutto il look! Bellissima la stampa del tuo abito! Amazing selection thanks for sharing, kiss. Che bello il tuo abitino giallo! I love your outfit Miss! The dress is awesome! Wow... il tuo abito è pazzesco!!!!! Superb collection. I love the orange dress more, it's cut and prints. Have a great week ahead. 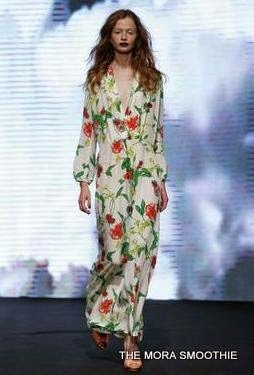 Awesome printed dress!!! Love it! Hi Paola! Thanks for stopping by my blog! Your dress is very cute and some of the dresses on the runway are super cute as well! what fun photos! the zebra print dress is my fav!!!! I am following you there from now. I love what you're wearing! This week is Buenos Aires Fashion Week, and maybe I'll go, but I don't have a clue of what to wear, I've never gone before. You look lovely! So nice that you visited Denmark. I live there. good from you currently. One stunning points that, Snapchat Web with Facebook Snapchat Sign Up The actions best.